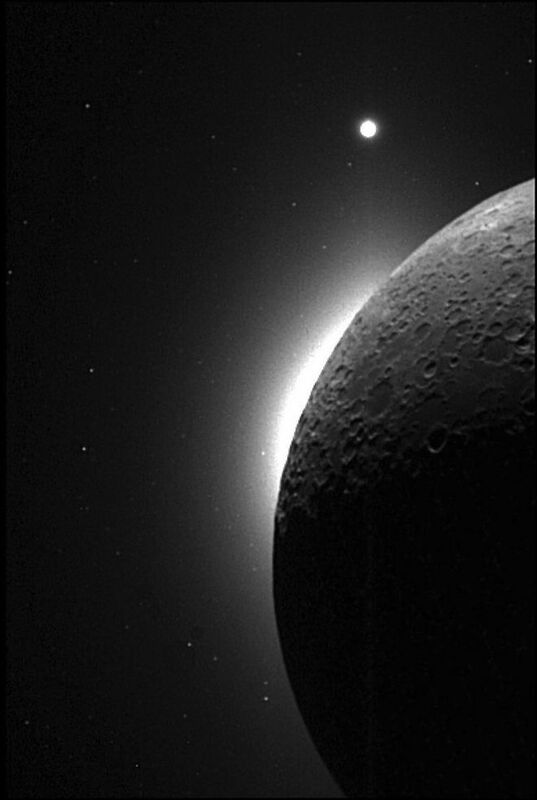 June 16, 2016 – A team of LASP scientists, led by University of Colorado Boulder physics professor Mihály Horányi, has conducted laboratory experiments that may bring closure to a long-standing issue of electrostatic dust transport, explaining a variety of unusual phenomena on the surfaces of airless planetary bodies, including observations from the Apollo era and the recent Rosetta mission to comet 67P. High-altitude ray-pattern streamers above the lunar surface reported by Apollo astronauts, the intermittently appearing radial spokes first seen by the Voyager spacecraft over the rings of Saturn, and the fine dust deposits, or “dust ponds” in craters on the asteroid Eros are all examples of dust transporting across vast regions without winds or flowing water. “Electrostatic dust processes have been hypothesized to explain these space observations. However, until now, no theoretical or direct experimental evidence existed to support these claims,” said Horányi. The team conducted the research at the CU-Boulder Institute for Modeling Plasma, Atmospheres, and Cosmic Dust (IMPACT), where they recorded micron-sized dust particles jumping several centimeters high under ultraviolet radiation or exposure to plasmas. 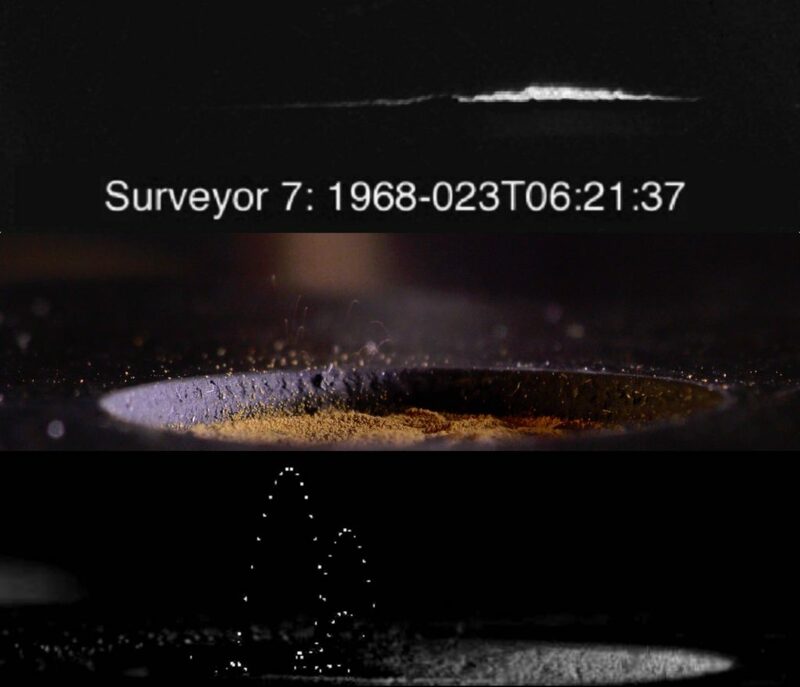 On the Moon, these dust particles would have been lofted more than 10 cm above the lunar surface, leading researchers to conclude that the “lunar horizon glow,” observed five decades ago in images taken by Surveyor 5, 6, and 7, may have been caused in part by sunlight scattering through a cloud of electrostatically lofted dust particles. One of the key science findings is that the emission and re-absorption of secondary or photo-electrons at the walls of micro-cavities formed between neighboring dust particles can generate unexpectedly large charges and intense repulsive forces between particles, which can mobilize and lift dust particles off the ground. “This new ‘patched charge model’ resolved the fundamental mechanisms of dust charging and transport, which have been puzzling scientists for decades,” said LASP research scientist, Xu Wang, lead author of the paper. “We expect electrostatic processes to redistribute fine dust particles over airless planetary bodies and to reshape their surfaces,” he added. In addition to single-sized dust particles, lofted large aggregates showed that electrostatic processes may be responsible for the detection by the Rosetta mission of fluffy dust particles released from the surface of comet 67P. The laboratory observations also showed dusty surfaces becoming smooth as a consequence of dust mobilization. These electrostatic dust processes could help to explain the formation of the “dust ponds” on asteroid Eros and comet 67P, and the unexpectedly smooth surface on Saturn’s icy moon Atlas. “Our laboratory discoveries provide a new vision of electrostatic dust dynamics over airless planetary bodies,” said LASP research scientist Hsiang-Wen (Sean) Hsu, a co-author of the paper. Joseph Schwan, a CU-Boulder undergraduate student at LASP and a co-author of the paper, performed most of the experiments and the data analysis work. “As an undergrad, just to be allowed to touch the equipment on a project this fundamental is a dream come true, let alone getting the chance to work with such an amazing team,” said Schwan. The research was published in the journal Geophysical Research Letters: http://onlinelibrary.wiley.com/doi/10.1002/2016GL069491/full.